"The AQ is a beautiful pearl in the ocean. There is no place like it on the planet. You can travel all across this country and try to find a club like the AQ; it’s not going to happen." I think I first heard pianist Laura Caviani at the old Dakota in Bandana Square in the 1990s. But over the past decade, I have heard her far more often at the Artists Quarter. 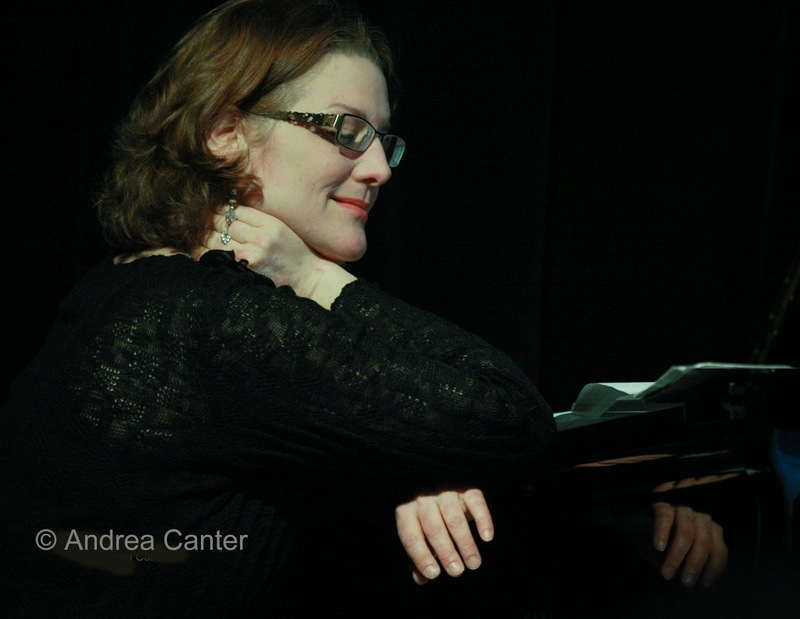 I've heard her in trio and quartet formats, in the piano chair for the Pete Whitman X-Tet, and in partnership with Joan Griffith, Clea Galhano and Lucia Newell on more than one evening of Brazilian music. And through Laura I have deepened my appreciation for some of her favorites-- Thelonious Monk, Horace Silver, Mary Lou Williams and Alec Wilder, each of whom has been the subject of at least one evening's celebration at the AQ. She often holds a birthday celebration for Monk in mid-October, which happens to nearly coincide with her own birthday. To Laura, playing Monk is like throwing a party. And she throws in at least one Monk tune at nearly every gig. Except perhaps when she is taking favorite classical pieces and reinventing them for jazz ensemble. In addition to her flair for interpreting the greats (jazz and otherwise), Laura is herself an accomplished composer. She's celebrated several collections of original music at the AQ, most notably "Going There". She's also celebrated the holidays with original arrangements of familiar (and less familiar) carols and hymns - something that she will do one last time at the AQ on December 13. Holly, Jolly and Jazzy is an apt description of the new recording and this last holiday party. Laura has found compatible surroundings in other venues -- the Dakota, the beautiful concert hall at St. Olaf, the "Jazz @ St. Barneys" concert series and more. But I will always think of her music as part of the fabric of the Artists Quarter-- swinging, accessible, and full of those twists of time and harmony that make jazz... jazz.